We make you BETTER at Beach Volleyball. Enjoy the California life and brush up on your beach volleyball skills at one of our camps. We offer classes for everyone, taught by professional players and coaches. Arrange a a full private practice with one of our amazing professional coaches. We Genuinely Appreciate Your Support. Subscribers help us continue to provide FREE high quality videos, drills and tutorials. When Beach Volleyball has strong media channels like ours, the sport is able to grow and flourish. Do Your Part. Grow the Game. Subscribe. It's Free and Easy. VolleyCamp Hermosa provides affordable accommodations and elite training for beach volleyball players from around the world. Our company gives you the opportunity to live with and train under current professional beach volleyball players and coaches. 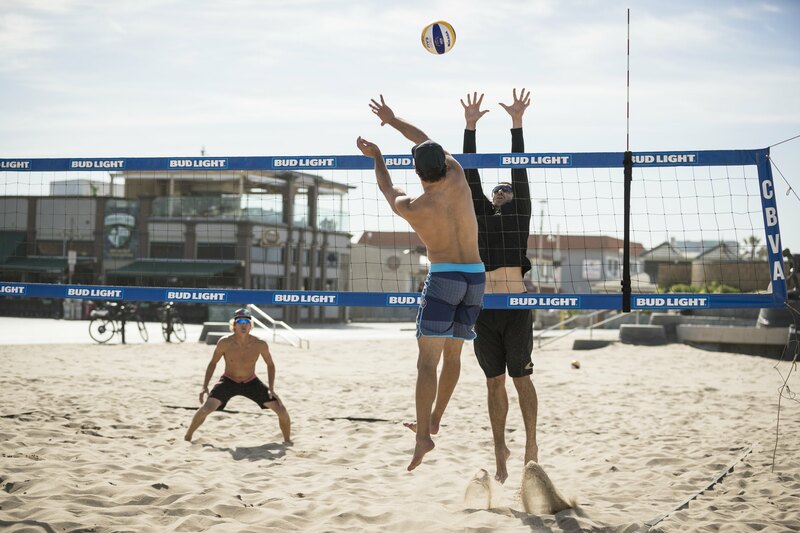 We are centered in Hermosa Beach California, widely known as the Mecca of Beach Volleyball. 7 Nights accommodations according to camp dates. Sunday to Sunday. 7 Practices of your choice from our curriculum ranging from 45 to 90 minutes. Since you choose which classes you take, you get to create your own schedule! You can always book additional lessons while you're here. Professional coaches and players lead your training. Introductions to current professional beach volleyball players. Sit court-side at AVP and FIVB World Tour practices! One full video analysis session. Entry into local tournaments when available. Camp t-shirt, lanyard, water bottle and nutritional supplement samples. Local knowledge, outings and more!! !